The Pace Women in Tech club held its first meeting as an official Pace organization on Monday, February 6, 2017. Led by Seidenberg students Eiman Ahmed and Niamh Fitzsimon, the meeting was a brief introduction to the club and the plans for the upcoming semester. 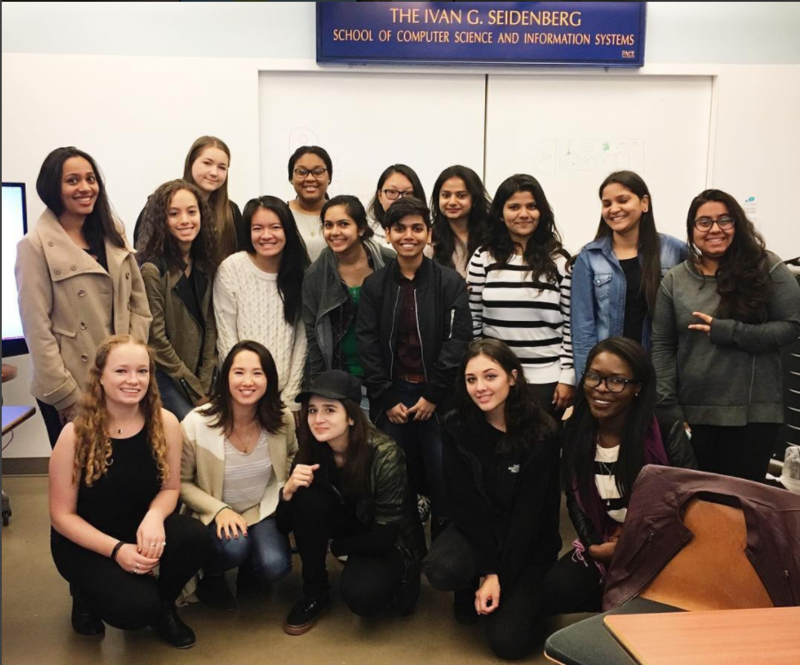 Aimed to be a welcoming group where members can make new friends and build a peer network, Pace Women in Tech already has a lot planned for this year. Hackathons, internship workshops, and potential attendance to the 2017 Grace Hopper Celebration conference in Orlando, Florida, were just some of the things on the table. The group aims to meet every two weeks and new members are welcome to join them for discussions, workshops and the chance to meet guest speakers from the tech industry – all over free pizza, of course. Pace Women in Tech has an active Facebook group that is recommended for members not only so they can stay up to date with meetings and events here at Seidenberg but for local hackathons and other events taking place outside Pace. Next Next post: NSF Billion Oyster Project video features Pace!